This morning as I was driving my son, Jaxon to school, the temperature gauge in my car read, -5 and then when I looked again, it read, -6 and then a minute later, it read, -7. Do you know how cold that is? That is FREAKING COLD!!! So understandably, I find myself daydreaming of spring A Lot lately. To help pass the time on these cold winter days, I love to browse my favorite on-line stores for some lovely new Spring home decor. I have came across so many pretty things that I wanted to share some of them with you. Doesn't all of this just bring a warm smile to your face, and inspire you to freshen up your home; bringing in soft colors, sweet floral smells and touches of greenery? It sure does me! 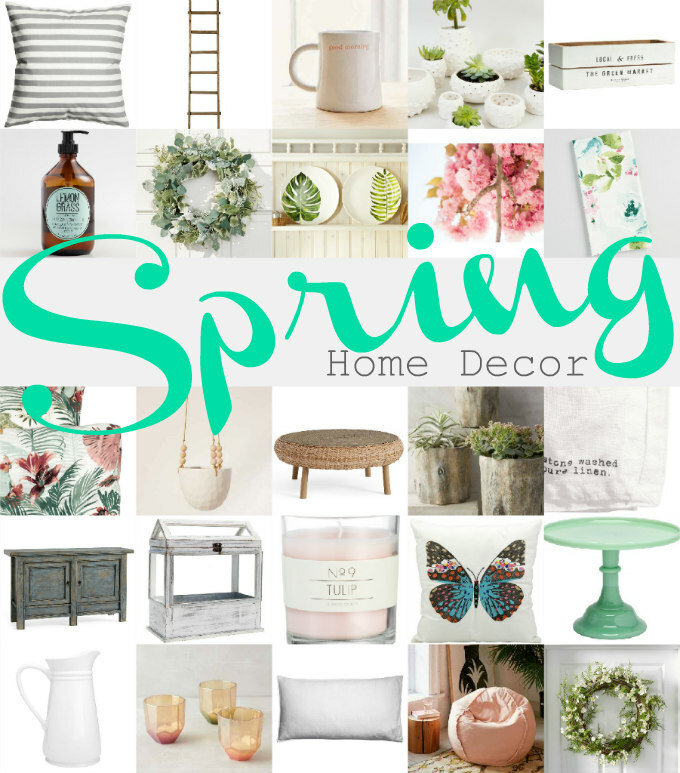 To shop this pretty spring home decor collection I've created, just click on the images in the lookbook below, it will take you to the website where you can learn more about each item. *Please note these are affiliated links which simply means I make a small profit from you purchasing them. I appreciate your support by using my links. I love you ideas on home decor. I look forward to buying some of the items.